Notice is hereby given of intent to apply to the 2019 Legislature, in the 2019 regular or any special or extended legislative sessions, for passage of an act relating to the City of Pensacola, Escambia County, and the Pensacola-Escambia Promotion and Development Commission; amending chapter 67-1365, Laws of Florida, 1989, as amended; providing for a change in the structure of the Pensacola-Escambia Promotion and Development Commission. 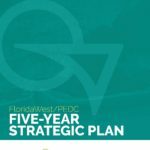 Notice: More than one member of the FloridaWest Board of Directors and the PEDC may be in attendance at the Escambia County Legislative Delegation Meeting to be held on Monday, January 28, 2019, from 5:30 p.m. to 6:30 p.m. The public hearing will take place at the Escambia County Commission Chambers, 221 Palafox Place, Pensacola, Fl. 32502 for the purpose of hearing public testimony on the proposed legislative amendment to the Pensacola-Escambia Promotion and Development Commission’s (PEDC) bylaws.